This apartment with swimming pool and sleeps 2 people. It has WiFi and air conditioning. 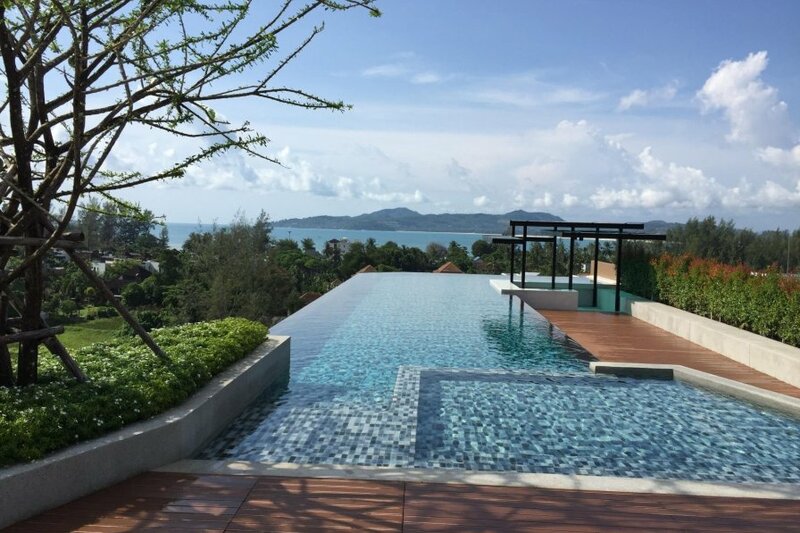 An infinity pool is set on the rooftop but if you prefer the ocean then pristine Surin beach is just 5 minutes away.The building is new, with great amenities, a rooftop swimming pool with sunbathing area. Exercise room, 24 hour security and private parking area. Our fully air conditioned studio is decorated in modern style and it's equipped for a perfect holiday. There is a queen size bed, wardrobe and safe. The bathroom includes a walk in shower and hairdryer. The kitchen is equipped to your convenience, has cutlery & kitchenware, pans & pots, hotplate, toaster, microwave and kettle. Lounge area offers a flat screen TV with cable channels, opening to the private balcony. The swimming pool, gym and restaurant is on the 8th floor, there are stairs and also a handicap elevator. High speed wifi is provided by the building, it's shared and password will be provided by reception upon arrival. Please note that is not suitable for working online as it might not be reliable enough. We like to meet our guests and provide information about the building, the area, activities. We offer transfers for easy arrival and departure.